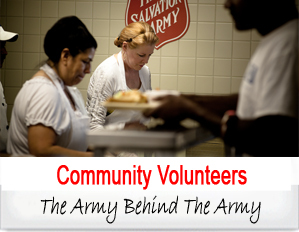 The Salvation Army Boyertown Corps has been serving since 1994. The corps has many social service programs including a food pantry, daily lunch program, rent and utility assistance, Back to School help, toys and clothes for children at Christmas, and Christmas Food Baskets. Our emergency disaster services include help following floods, fires, and other natural disasters. The corps also serves children and youth through Monday Red Shield Music Acadamy, Wednesday DMZ Jr. kids programs, Summer Day Camp, Camp Ladore and other camp trips. We have a chapel on site that offers church worship services, Bible Study/Sunday school, vacation Bible school, and adult fellowship retreats. We also have nursing home visitations. Our community events include a Back to School Night, Easter Egg Hunt, and Thanksgiving Community Dinner. There are many volunteer opportunities. Be sure to visit the following pages for more information about volunteering, social services, youth programs, adult programs, and worship services that are available at the Boyertown Corps. The Salvation Army's success and "Doing the Most Good" is only made possible through the generosity of our local, individual, and corporate donors. 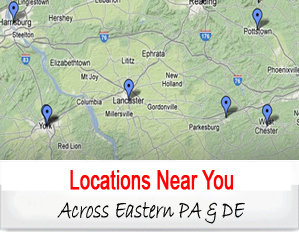 You can make a difference right here in your community of Berks County. Your sacrifice of time, talents, and resources has kept The Salvation Army marching strong in Berks County since 1995. To donate, please contact Gabriela Wade at (610) 367-4089. To volunteer, please contact Brenda Meitzler at (610) 367-4089..